group shot | Miniature armies, huge time sink. Group Picture Day! What my Khador looks like @ about 85% completely painted! Getting the Khadoran gang together! 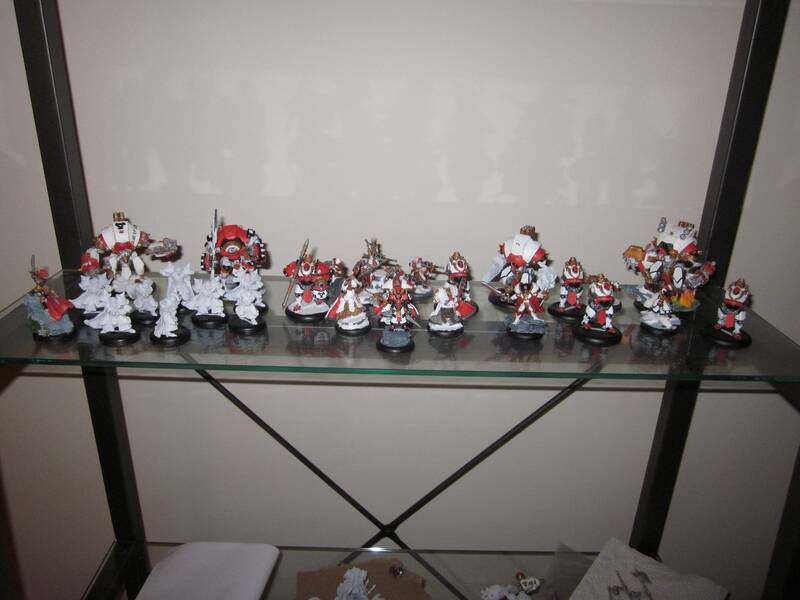 Our group’s slow grow league starts on June 16th and I’ll be rolling with Menoth for it, so I have until then to finish painting those! Oh and feel free to show off your army shots in the comments! I’d love to see them! EDIT: Here’s a pic I found of them from 3 months ago!